On this day in 2010, it was officially announced that the rare beer called The End of History was sold out in a matter of hours. 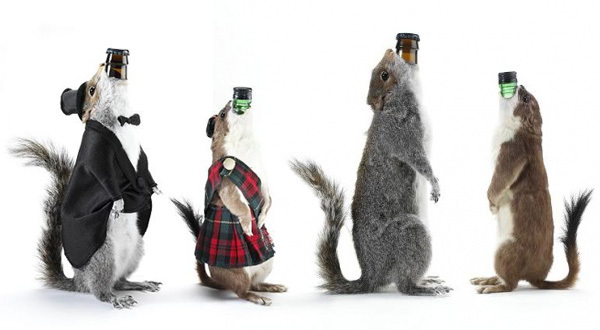 Scotland’s BrewDog released their exclusive and expensive beer delivered inside two furry critters, stuffed stoats and grey squirrels. Yes, I said critters! Coming in at a whopping $765 and 55% ABV, only 12 bottles of The End of History were released and sold. Hmm… Not one you want to buy for your favorite vegetarian! From what I read, they worked with a taxidermist. Probably sliced open, cleaned out, and sewn back up?